From a former Food Town, North Dixie Hwy, near Monroe, MI. This is in Columbus, Ohio. I took this in March 2004 from the gas station in the parking lot. I think it is on East Main Street but I don't remember for sure. This different take on the four sided sign was taken in Dublin, Ohio. This Kroger superstore is in Cambridge, Ohio, just off of Interstate 70. Also in this shopping area is an ex-Zayre still recognisable as a Zayre. This is in Weirton, West Virginia. I wish I could have gotten a better picture of this one. This is the Kroger in Frankenmuth, Michigan, one of Michigan's most shameless tourist traps. This store, as do most other commercial buildings in town, sport German architecture. I believe this used to be an IGA. 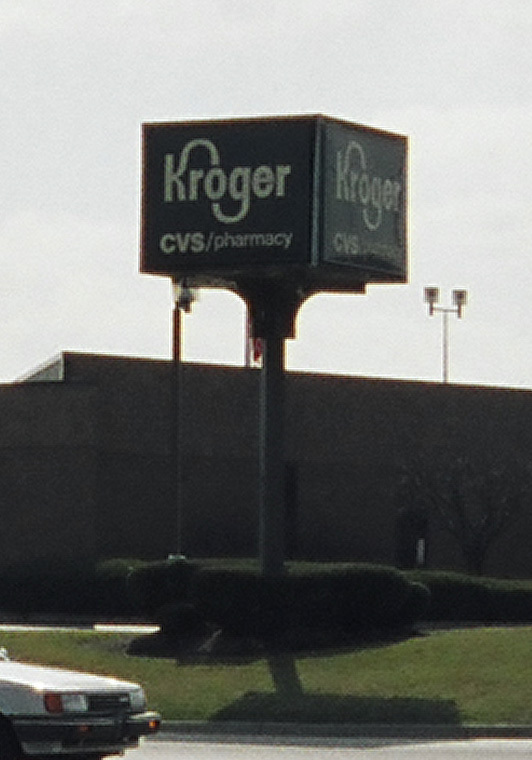 This Kroger is in Middletown, Ohio, right off Interstate 75.